We are losing our minds to Google. After 20 years, Google’s products have become integrated into our everyday lives, altering the very structure of our cognitive architecture, and our minds have expanded out into cyberspace as a consequence. This is not science fiction, but an implication of what’s known as the “extended mind thesis,” a widely accepted view in philosophy, psychology, and neuroscience. Make no mistake about it, this is a seismic shift in human psychology, probably the biggest we have ever had to cope with, and one that is occurring with breathtaking rapidity. Google, after all, is just 20 years old this month. But although this shift has some good consequences, there are some deeply troubling issues we urgently need to address. Much of my research spans issues to do with personal identity, mind, neuroscience, and ethics. And in my view, as we gobble up Google’s AI-driven “personalized” features, we cede ever more of our personal cognitive space to Google. Both mental privacy and the ability to think freely are eroded. 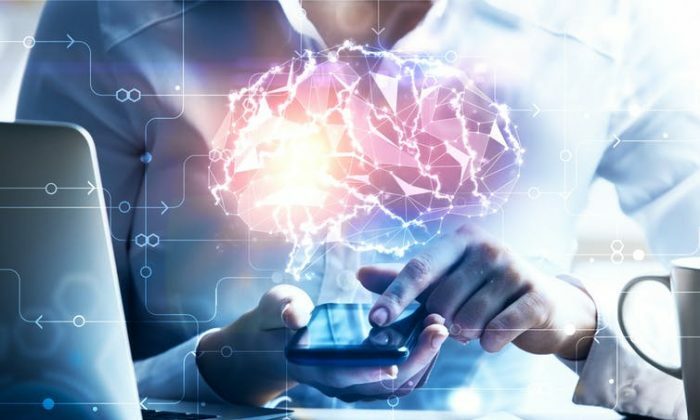 What’s more, evidence is starting to emerge that there may be a link between technology use and mental-health problems. In other words, it isn’t clear that our minds can take the strain of the virtual stretch. Perhaps we are even close to the snapping point. This was the question posed in 1998 (coincidentally the same year Google was launched) by two philosophers and cognitive scientists, Andy Clark and David Chalmers, in a now-famous journal article, The Extended Mind. Before their work, the standard answer among scientists was to say that the mind stopped at the boundaries of skin and skull (roughly, the boundaries of the brain and nervous system). But Clark and Chalmers proposed a more radical answer. They argued that when we integrate things from the external environment into our thinking processes, those external things play the same cognitive role as our brains do. As a result, they are just as much a part of our minds as neurons and synapses. The argument produced debate, but many other experts on the mind have since agreed. Clark and Chalmers were writing before the advent of smartphones and 4G internet, and their illustrative examples were somewhat fanciful. They involved, for instance, a man who integrated a notebook into his everyday life that served as an external memory. But as recent work has made clear, the extended-mind thesis bears directly on our obsession with smartphones and other devices connected to the web. Growing numbers of us are now locked into our smartphones from morning until night. Using Google’s services (search engine, calendar, maps, documents, photo assistant, and so on) has become second nature. Our cognitive integration with Google is a reality. Our minds literally lie partly on Google’s servers. First, Google isn’t a mere passive cognitive tool. Google’s latest upgrades, powered by AI, and machine learning are all about suggestions. Google Maps not only tells us how to get where we want to go (on foot, by car, or by public transport), but now gives us personalized location suggestions that it thinks will interest us. Google Assistant, always just two words away (“Hey Google”), now provides us with quick information, and can even book appointments for us and make restaurant reservations. Gmail now makes suggestions about what we want to type. And Google News now pushes stories that it thinks are relevant to us personally. But all of this removes the very need to think and make decisions for ourselves. Google—again I stress, literally—fills gaps in our cognitive processes, and so fills gaps in our minds. And so mental privacy and the ability to think freely are both eroded. Second, it doesn’t seem to be good for our minds to be spread across the internet. A growing cause for concern is so-called “smartphone addiction,” no longer an uncommon problem. According to recent reports, the average United Kingdom smartphone user checks his phone every 12 minutes. There are a whole host of bad psychological effects this could have that we are only just beginning to appreciate, depression and anxiety being the two most prominent. But the word “addiction” here, in my view, is just another word for the integration I mentioned above. The reason why so many of us find it so hard to put down our smartphones, it seems to me, is that we have integrated their use into our everyday cognitive processes. We literally think by using them, and so it is no wonder it is hard to stop using them. To have one’s smartphone suddenly taken away is akin to having a lobotomy. Instead, to break the addiction/integration and regain our mental health, we must learn to think differently and reclaim our minds. Benjamin Curtis is a lecturer in philosophy and ethics at Nottingham Trent University in the U.K. This article was originally published on The Conversation.